As close as we are to the release of Mortal Kombat 11 now, we still know little to nothing about the Switch version. The most we have heard about it was recently over the weekend at PAX East, when show floor reports confirmed the Nintendo iteration was hitting 60 frames per second. In saying this, no footage of the Switch release was allowed to be shown. If you're still not confident about how the eleventh entry will run on the Nintendo Switch, series co-creator Ed Boon is here to put your mind at ease. During a Rapid Fire interview with Game Informer, Boon reassured fans the game would run at 60fps on the hybrid device and certainly wouldn't be 30fps or contain blurry backgrounds. 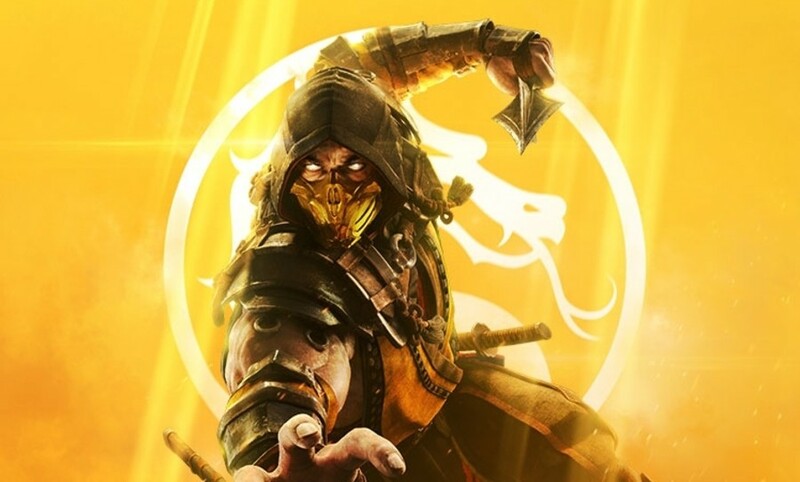 He reinforces this by saying the Nintendo version is "looking great" and says it's Mortal Kombat 11 through and through. To watch the full Rapid Fire interview, click here. Are you glad to hear this? Would you like to see some Switch footage of the game at this point? Tell us down below. On a Nintendo system? Won't somebody think of the children? Having no screenshots nor gameplay is not a good sign tbh. What's the holdup? Another Xenon scenario? Ben also asked "Any blurry backgrounds or...?" And Ed replied. "Nope. It's MK11." I'm now 100% confident. And I say, let's be patient for footage as they polish it the rest of the way. The PAX East build was like the beta build and therefore not final, which is why no recording was allowed. They didn't want everyone thinking that is the definitive Switch version because it'll be finished on release day. I like being surprised. Also MK is finally back on a cartridge. The SNES was the first system to receive a console port of MK1. Now we've come full circle. I think I'll get this for the PS4 and maybe double dip down the line. Mortal Kombat is a big screen experience. Ed Boon answers the question at 14:59 in the video. I'm getting this on Switch pre-order at Base dot com. For big screen experience I can simply dock my Switch to my TV. Having it portable will be really nice. Once the price falls I might double dip on it for Xbox or PlayStation but that might be on a next gen system and it would certainly wait until I have a much better TV. @ReaderRagfish it will display green colored blood only. Had no plans of getting this. Sound like that might change. Need to see gameplay. Wow, Fighting game fans are getting their money worth on Switch. Smash, DB FighterZ and now what looks like a solid MK on day 1. Very nice. Can we please get some footage? After hearing all the reports from PAX and now even Boon himself praising the switch version, I have full confidence in it--I just want to see it in action now. I think they want to avoid the overcritical analysis of graphics and resolution groups like digital foundry do, which even when glowing, can be used by detractors to create bad rep in games like this. I for one love DF videos, but even then I vastly prefer their full analysis after the games are released and not based on pre-release footage which most of the time paints an incomplete picture. I'll wait for Digital Foundry to tell me if a shadow behind a tree has 4 less pixels or not. Sounds good. Will probably still get it on PS4 since most my friends will most likely get it on that console. @Yomerodes pretty much exactly the reason Ive heard as to why WB wont allow it to be shown. They also dont want to lose people to other platforms, because graphics arent as detailed/lower res. Game looks fantastic according to colleagues who played it, for a switch game. Turns out that MK11 on Switch is cell shaded. LOL. Already got this game pre-order, can't wait to try Shao Kahn again. Yeah, the Switch version is sounding good judging by people who played it at PAX. I'm not a stickler for 60fps anyway, I'd be content as long as it wasn't like unstable 15fps or something. For the love of all things good please announce the switch pro already, Nintendo. @ReaderRagfish Nintendo had every release up until MK9 on their consoles. No idea why MK9 skipped when they had the Vita port running perfectly. Have Smash, ARMS, and SF2. Constantly trying to talk myself out of this game. @Zequio Nintendo only censored one MK ever. MK 1 on SNES. Nintendo got so much flaming back then that MK 2 came with blood, and all MK's later on Nintendo too. You should be more worrried about PS4 version as Sony is censoring more than Nintendo. @PBandSmelly When Mortal Kombat 9 got ported to PS Vita it didn't get too waterdown, instead it every contents on the cartridge plus all the DLCs and some extra contents. The only thing is that character models look a bit less detail compare to the console versions but the game plays great and in 60fps as well. I don't think the Switch version of Mortal Kombat 11 will be too waterdown as long as it runs at 60fps in smooth 720p in handheld and 1080p in dock then it's good. So excited for this game. I really hope they release Mortal Kombat , 2, MK3Ultimate HD collection. Great to hear Ed & Co. stand confidently behind the Switch version. i mean unless they are just not trying, i would hope so, its a fighting game for crying out loud. anyone who knows anything about games knows fighters arent the least bit demanding. Well, I loved MK9 on Vita, so can't see why MK11 on Switch should be an issue. One on one fighting games should never be too much of a challenge for a platform as they have so few variables when compared to games with complex 3D worlds and multiple AI characters. It is the same with racing games. @Marios-love-child I’m pretty much in the same boat. Do I get on Switch so I can play with the convienance of portability, or on PS4 Pro for 4K(ish) super gory fatalities? I’ll be honest- this is a good problem to have. Thats great to hear. I’d never buy a 30fps game for Switch if I can buy a better looking 60fps version for PS4. I never play the switch on the go. I like enjoying a game without any public distractions. Same here.....My dilemma is do I get the Switch Version for Multiplayer. I have 2 sets of Joy Cons where as I only have 1 PS4 controller. The scars from WWE 2K18 are still too fresh for me. 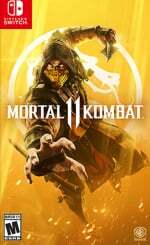 Even though my wife and I both want to play MK11, I don't trust putting down my money until I see the game play. I won't trust that "it will be fixed in a patch" ever again. I think if they can get this solidly running like they say they can then the company that is porting it should be something to look out for. I already think of importing it. Wanna play it day one. Amazon still says 3rd of May instead of 23th of April. Here a link to the switch version. And they say its imposible to port jump force on switch due to lack of hardware.When will Bandai stop lying to us ? The fighters will be stick figures but the backgrounds will be amazing!